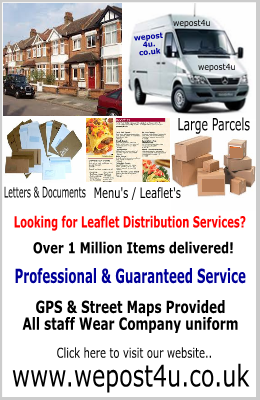 Leaflet Distribution « WePost4U.co.uk – The distribution experts…. We can provide Menu, Leaflet, Flyers & books to any location within the Greater Manchester Areas. Minimum Leaflets accepted are 10,000. The prices are for your leaflet being distributed with 2 other non-competing leaflets when on a shared plan. The above prices apply to the full post code coverage in congested areas. Different prices may apply to villages and areas with spread out housing.